PUBLIC sector contracts now account for over 50 per cent of construction jobs in Northern Ireland. There are still 70,000 construction workers employed in the sector and the industry accounts for around £2.5 billion of economic activity here each year, but new findings show the sector is facing yet another year of decline. Statistics from the Federation of Master Builders show March was the 13th month in a row that the workloads of small and medium-sized construction firms in Northern Ireland have been negative. The federation’s Northern Ireland director Maire Nawaz said: “We need to get Northern Ireland building again. The construction industry has now entered its fourth year of decline with Northern Ireland members reporting worse conditions than in any other part of the UK. Two weeks ago the FMB launched its “Building for Success” programme at Stormont, part of a concerted lobbying company aimed at helping the struggling industry. The federation identified a number of key challenges for the next Assembly, among them the need to develop skills and training and highlighting the positives of creating a new business environment without excessive control, regulation and taxation. 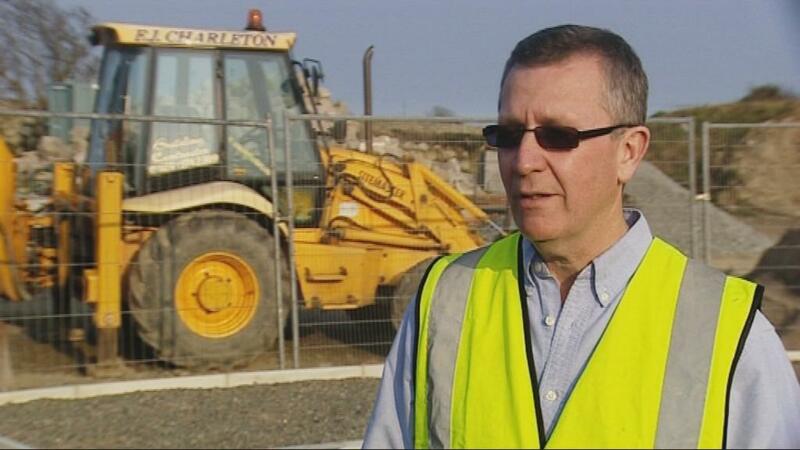 But on his last day at Stormont before the elections, Finance Minister Sammy Wilson said that while the Assembly must shoulder some of the responsibility of trying to rejuvenate the construction sector, there had to be an element of self-help. The Minister said: "One of the big issues the Executive looked at was what we could do to help the construction industry. Mr Wilson said that some construction firms have been innovative, but not all of them. The new statistics released by the FMB are the latest in a long line of publications which predict a gloomy future for the construction industry here. The last edition of the Northern Ireland Construction Bulletins, published in January of this year, showed that the total volume of output in the third quarter of 2010 was 11.1% lower compared to the same quarter in 2009. David Charleton from FJ Charleton Building Contracts in Ballymartin, Co Down, recently won UK Master Builder Of The Year, the first person from Northern Ireland to do so. However, despite his success he is realistic about the outlook for the industry. He said: “Up until three or four years ago our industry was really booming, builders and developers bought land and speculated, then all of a sudden out of the blue the market dropped and there has been a lot of tough time in recent years. John Armstrong, managing director of the Construction Employers Federation (CEF) acknowledges it’s a tough environment for construction companies, big or small, to survive in. He said: “Figures do not show the human cost. The struggles of the redundant tradesman to make ends meet, the wage cuts for those still employed, the swathes of skilled workers forced once again to leave this island to find work, the students who are unable to get placements to complete their courses, the school-leavers who cannot get an apprenticeship. “Most concerning is the fact that there is no indication this dramatic rate of job losses is set to abate. At the end of February 2011 there were still 13,000 ex-construction workers claiming unemployment benefit. Coalisland man Dean Murray is one of them. Since his former employer lost one of their major construction contracts, he has had to face the harsh reality of unemployment for the first time. He said: “I’ve been on benefits now for the past three months or so for the first time and because of my lack of experience in other fields I’m finding it tough to get back into the employment market and maybe looking abroad at the moment towards Australia or something. 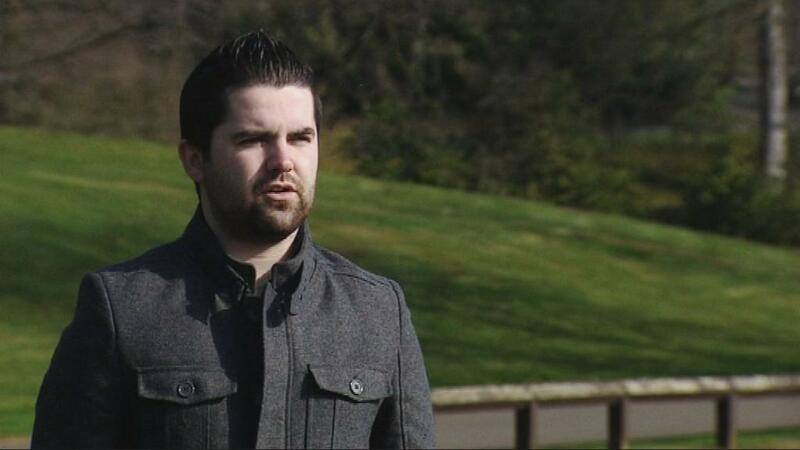 “But I eventually managed to secure a job with a local construction firm in Coalisland and everything was going well. “I had a steady wage coming in and then when they lost one of their major contracts in December last year that was the end of it. For many workers and companies here, working abroad has not been a realistic option. Inevitably a number of firms have gone bust. Those that are surviving are doing so with significantly reduced turnover and profitability. However, there have been some positive movements for the industry. In last week’s Budget speech Chancellor George Osborne delivered what he described as a “pro-growth” plan – including a new £260m shared equity scheme to help first-time buyers get onto the housing ladder. The industry hopes that more house sales will eventually lead to more new homes needing to be built. But with more and more construction companies struggling and those who have their heads above water trying to find innovative ways of navigating through the downturn, they’ll be hoping that after the May elections, the new Assembly will be focused on growth in this struggling sector.